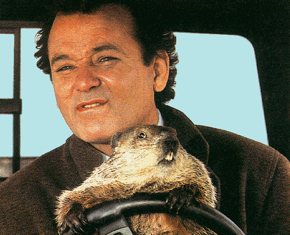 Despite much ballyhooed circumstantial evidence of a shift away from DRM by big content players, it was Groundhog Day at MidemNet according to paidContent today. This conference on the digital music business got off to a bang here in Cannes this morning when the opening-session discussion broke into a tense and sometimes bitchy disagreement about DRM between representatives from music, movie and electronics industry associations. MPAA executive vice president Fritz Attaway and RIAA chairman Mitch Bainwol immediately set their stall against Consumer Electronics Association president Gary Shapiro. Attaway: "There is no business model where one invests several million dollars in making a movie and then gives it away for free; that just doesn’t work for movies and it doesn’t work for music, too." ”I don’t make you look evil - your lawsuits against old people around the country make you look evil. What was new was a debate over CEA's nascent offensive game plan on copyright. News flash: The MPAA and RIAA don't like it.